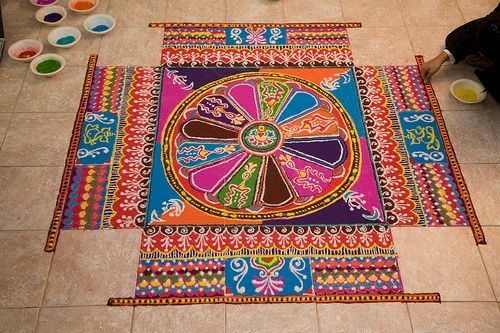 Making rangoli is an essential part of Indian culture. 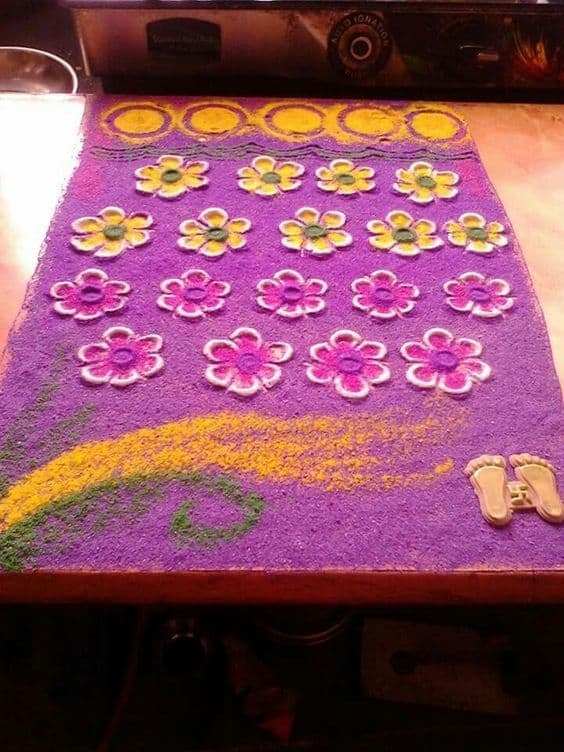 In every special ocassion and fest rangoli takes an important place. 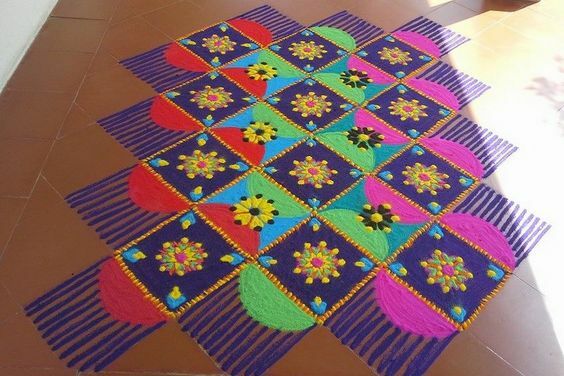 In traditional rangolis we first make the patterns and then fill them with bright colors. But today we have some more creative and fun method to draw unique pattern. 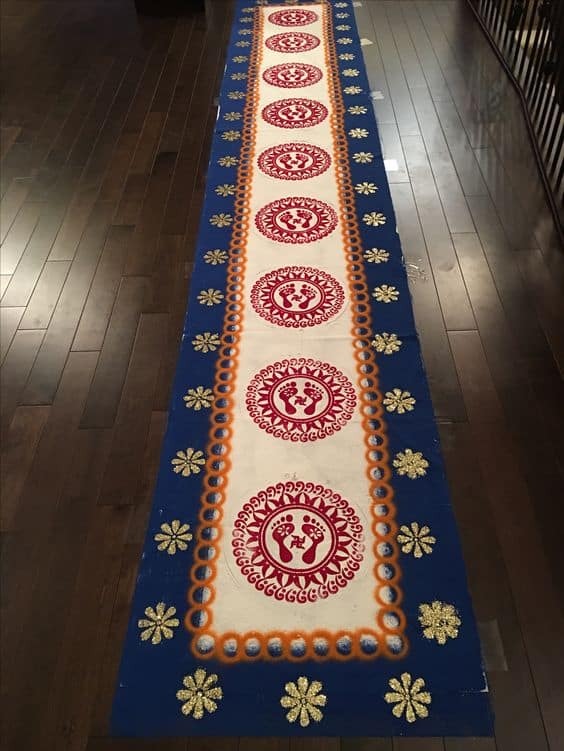 Check out what are those methods and pick out a rangoli design from one of the best creative rangoli designs 2018. 1. 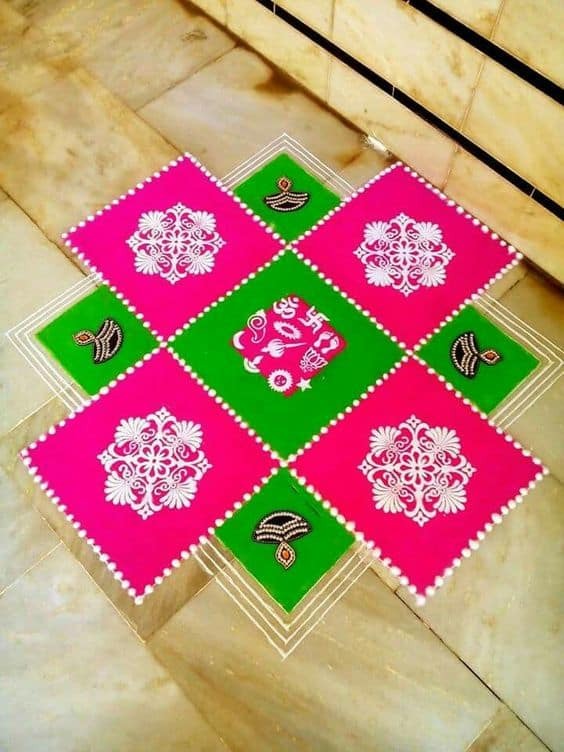 To make this unique rangoli design you need to first make a bright background of yellow color and then with the help of different stencils draw the colorful patterns. In case of any unevenness you can correct with a slight touch up. Add pearls and beads to make it more prettier. 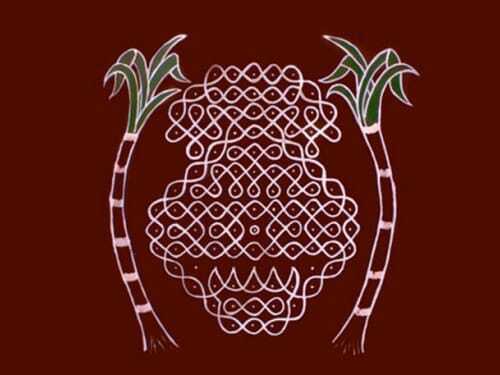 2. creative rangoli designs for a temple area or worship place. Draw the centre square and then on the four sides of this square draw four more squares. Finally draw another big square which connects all these four squares at the mid. Fill it with some vibrant colors and then draw different patterns into it. 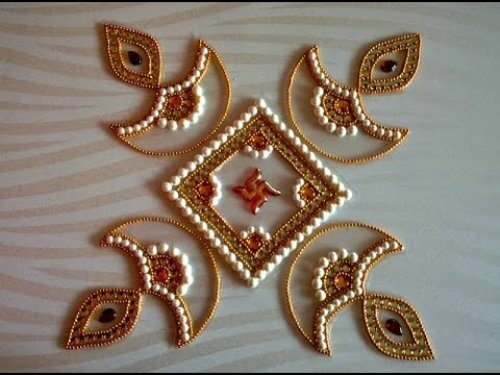 Border the whole rangoli with dot and line designs. 3. 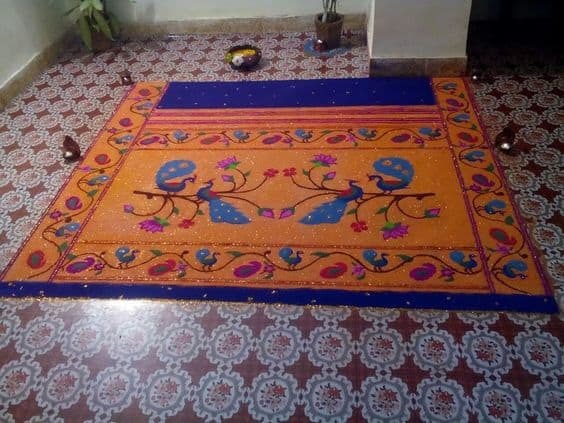 Paisley motifs and peacock designs are one of the most loved motifs by rangoli makers. This beautiful peacock portait looks so enchanting and is sure to add beauty to your home. 4. 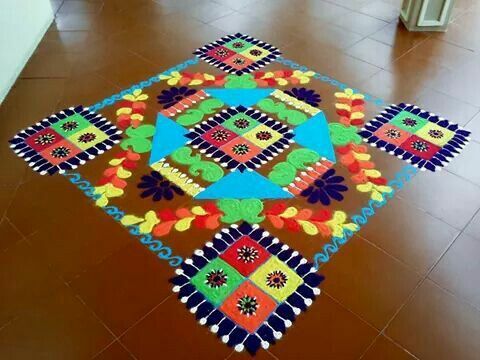 Rangoli is a way of adding more colors to your floor. It a way of welcoming good omen and helps in bringing positive vibes. To draw this you will need a good variety of colors and plenty of time. 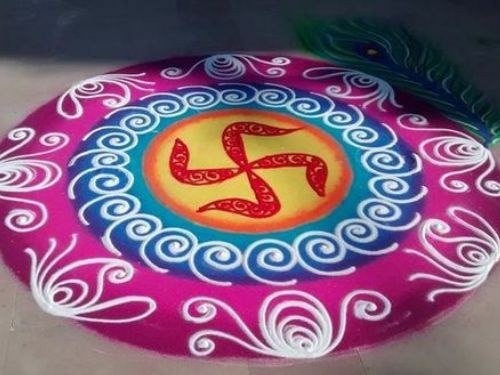 The good thing about this design is that even a rangoli beginner can try it. 5. 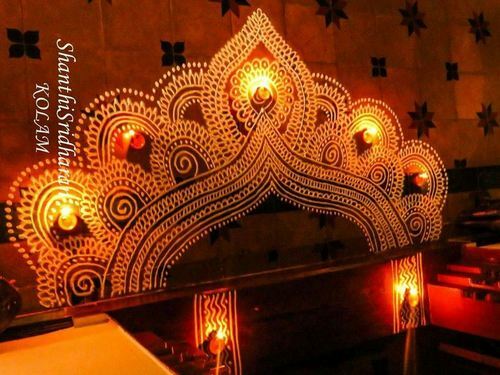 Want to know how to draw this spellbound rangoli design. Firstly fill the backround with black color and then make few stencils of diffrent shapes and sizes. For this design you will need two square stencils of certain thickness. Also make paisley, floral, petals and leaf stencils. Keep both the inside and outside part of the stencils to draw interesting design. You can add pears and neckpieces into your design. 6. If your floor has square tiles then it will be lot easy for you to try this pattern. First you need to make the background pattern and then decorate it with the beautiful flower designs. 7. 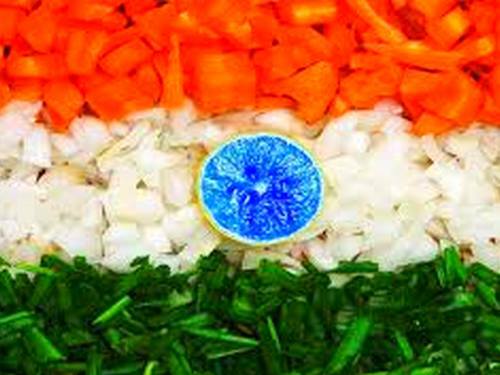 A very elaborate design which has all the vibrant colors found in India. It will take a huge chunk of time but the final design is worth all the sweat. 8. 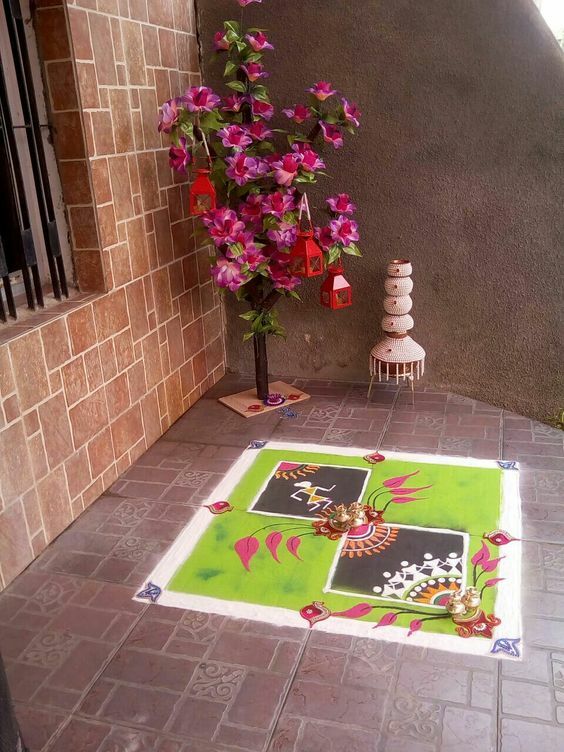 These creative rangoli designs are quite popular during the festival of diwali. Great design for gallery and also looks quite attractive. 9. Fond of tribal art then why not decorate your outer space with this beautiful tribal rangoli art. This design has a fresh breat within it and from choice of color to the choice of designs everything looks so inspiring. 10. 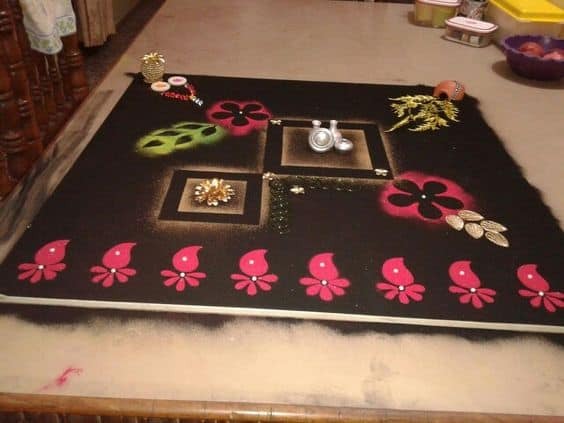 Make your rangoli design more lively with this 3D rangoli design. The beauty of these flowers have increased manifold with the white highlights. 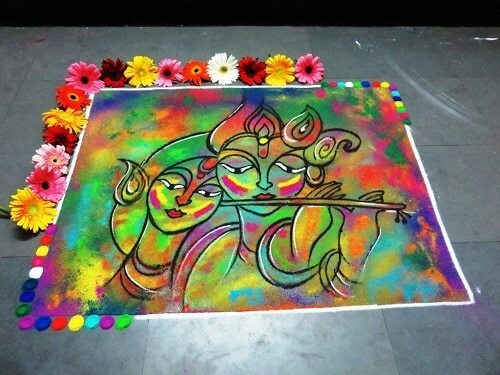 Making Rangoli gives immense pleasure to the one who makes and the people who see it. A thing of beauty is a joy forever. So cherish the beautiful things around you and be happy. 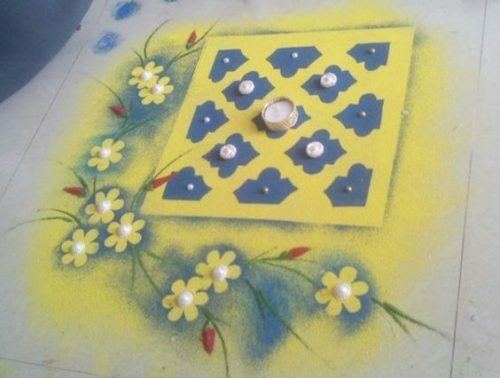 You can also share with us some other creative rangoli designs.